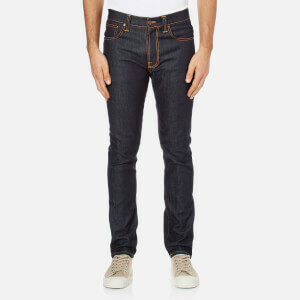 Men's tapered jeans from Calvin Klein Jeans. 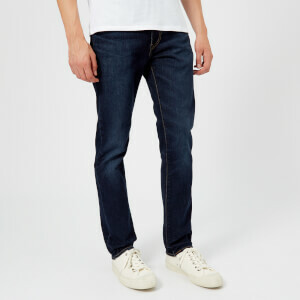 The 'CKJ 056' jeans are crafted from stretch denim with a light blue wash, and have been cut with a relaxed fit through the seat and thigh with a tapered leg. 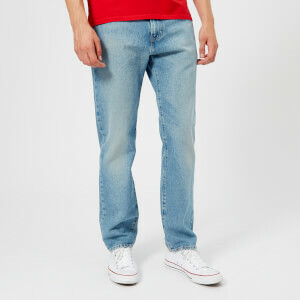 Sitting at the waist, the blue jeans feature a zip fly and classic five pocket stlying. Finished with belt loops, branded hardware and a branded leather badge to the rear waistband. 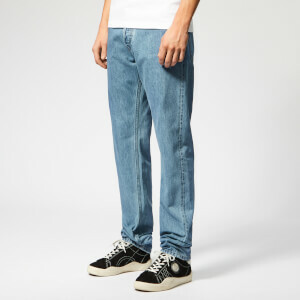 Back pocket omega embroidery.